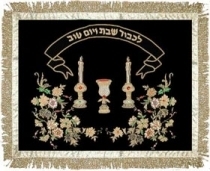 During Traditional Shabath ceremony two Challot are used. The Challot represent the double portion of manna, the miracle food that the Israelites ate in the desert, that fell on Friday. 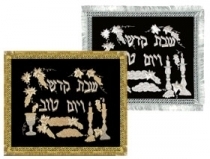 The Challot are placed on a board and covered with a cloth (Challa cover) to represent the envelope of dew which protected the manna in the desert. 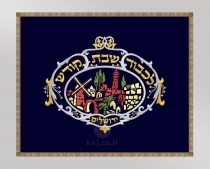 Another explnation is from Shulchan Aruch, a code of Jewish law written by Joseph Caro in the 16th century. 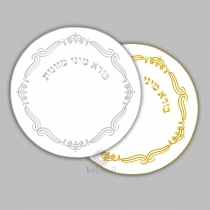 Shulchan Aruch states that one of the reasons we cover the bread with Challah cover during kiddush on Shabbat is that, during normal, everyday meals, the bracha, or blessing, over the bread generally precedes the one for wine. This is not the case during the Shabbat kiddush. 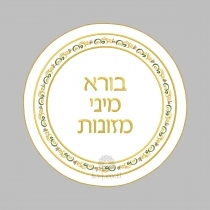 Terefore, the bread is "embarrassed" to be outdone by its "lesser" peer and needs Challah cover to cover it while the blessing over the wine is being said. 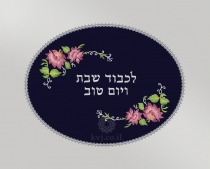 Challah (also spelled as hallah or khala) covers used not only on Shabat but also on other Jewish holidays. 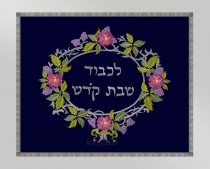 We at www.kaftorvaferach.com believe that the Challah Cover should be as splendid and adorning as possible to make a fitting ornament of your Shabbat table. 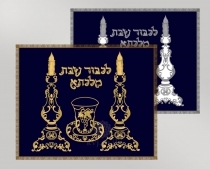 The embroidery on the velvet, whether regular or hand made, is invariably of the highest quality, making our Challah Covers an aesthetic treat worthy of the ceremony. 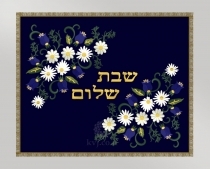 Different designs both customized and existing, modern or traditional are available. 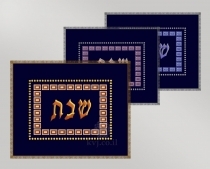 All of our Challah Covers are made in Jerusalem by various gifted artists with exquisite taste. 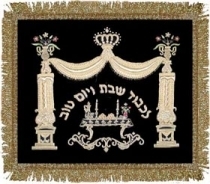 The Shabbat table adorned with our Challah Cover will be a great beautification of your Kabalat Shabbat. 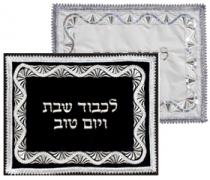 The Challah Covers we offer are a gem of distinct taste, a visual counterpart to the spiritual splendor which is the Shabbat, a cover worthy of the Shabbat table. 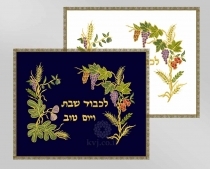 Feast your eyes and impress your guests with our quality Challah Covers. 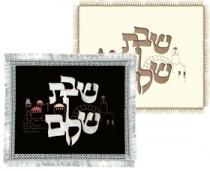 We would be happy to accommodate you with a variety of ready designs for the embroidery, or let you customize your own design. 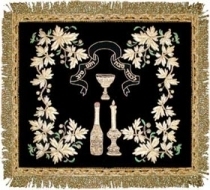 Also a variety of fabrics are available for the cover itself. 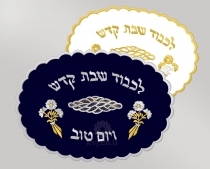 In either case we are certain the Challah Cover of your choice will enrich the Shabbat meal greatly.